Ben Harper in Montreal or Quebec City? Inform me about the next events for Ben Harper. Enroll yourself to our priority waiting list for Ben Harper to be alerted when new tickets are available. Filling this form doesn't engage you to any purchase. 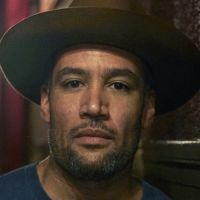 Ben Harper will be back in Montreal on Tuesday, April 12th, 2016, for a concert at the Montreal Metropolis, along with his band The Innocent Criminals. The band last performed in Montreal at Osheaga last summer, after a few years apart. Ben Harper & The Innocent Criminals will be releasing a new album in 2016. Don't miss their concert at Metropolis.